Peel the oranges, including the white part. Blend the oranges with the milk, honey, vanilla and orange zest. Process the ingredients. Add the ice and blend again. The mixture should be thick. If it’s not thick enough, add more ice. Serve immediately to prevent it from melting before it can be enjoyed. Add salt to the rim of the glass. 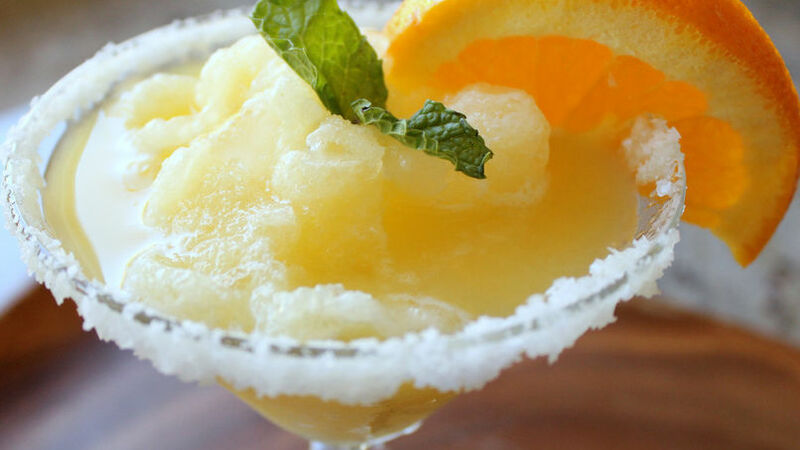 There’s nothing more refreshing than a frozen drink, especially during these hot days leftover from the summer. These drinks are even better when made with my favorite ingredients: oranges and honey. I like eating a spoonful of honey in the morning with breakfast, I feel like it supplements the energy I need to start the day. One of my favorite ways to end my summer days is on the patio watching my little ones play while I enjoy this delicious orange and honey mocktail. I hope you like it!